Ishara was the first orphan to benefit from assistance from the project in 2008 when he was 4 years old. 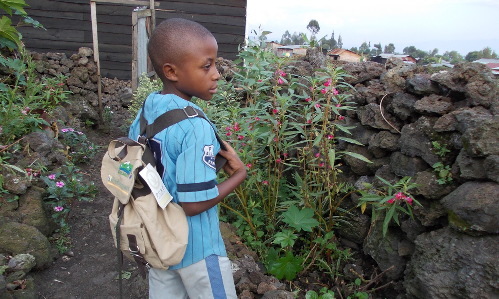 Jean Pierre Jobogo Mirindi, the project leader, says, “Ishara is very clever, he works hard at his classes and also likes to play football.” Ishara is 10 years old now and is being cared for by his grand mother but requires support for school fees if he is to continue his education. Jean Pierre will be meeting with Ishara’s grandmother later in the year to hear about his performance. We are all hopeful he will continue do well if we can ensure he has access to schooling.